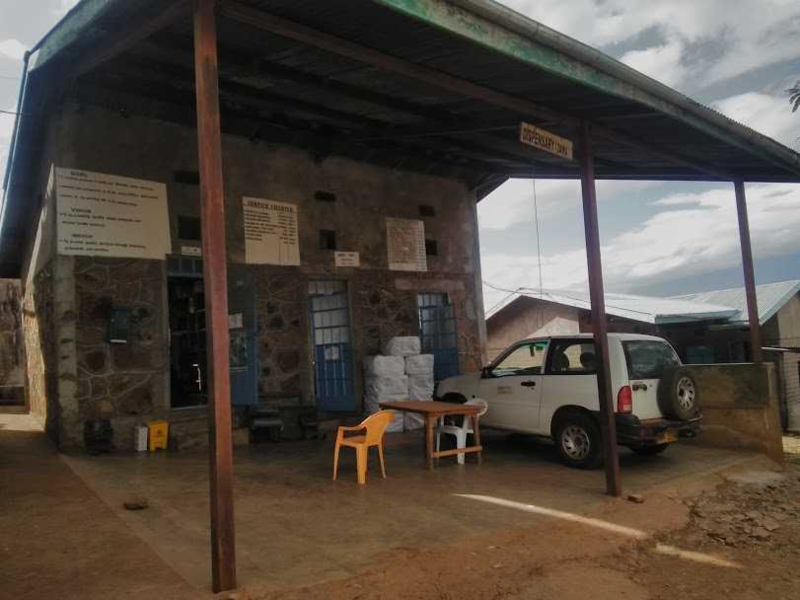 Victor sent us an update on his work with the Franciscan Missionaries of St. Joseph in Baringo County, 370 kms to the North West of Nairobi, Kenya. He is involved with the Salawa Catholic Dispensary there. ‘On 6th November a new volunteer from Ireland, Rachel Ryan arrived to assist with the Dispensary’s administration work for a year with support from the Archdiocese of Dublin Mission Support Fund. Baringo is one of Kenya’s 47 counties and has a population of about 750,000 people. Salawa is in Baringo Central, a semi-arid, remote and sparsely populated area. Although the main road to Salawa is tarmacked, the inroads are rough and impassable when it rains. Cattle rustling is rampant in Baringo, especially in the areas bordering the Turkana and the Pokots, in the North. In recent years, the practice has resulted in many deaths. In this region, access to healthcare is problematic, and the doctor to patient ratios are high (1: 57,000). hence, the need for this project, which has been assisting the local people for the past 28 years. The project provides integrated health care services to over 238,000 people in the area of Baringo Central and Baringo North, through a static facility and mobile clinics, where HIV/AIDS care, treatment and support interventions are also provided. The scenic beauty of Baringo and of Salawa, in particular, conceals the fears and dangers living in the area brings, as Salawa lies at the foot of the Kerio Valley escarpment. So too, the immense work carried out by this project is not overtly visible, consisting as it does of a simple static structure at its centre, a lean staff and three small blocks that house the recently constructed maternity services unit, a consulting room, drug store and dispensing room. Victor took up the position of Programme Development Officer at the Franciscan Missionary Sisters Of St. Joseph (FMSJ) in Nairobi on 1st November 2017. Victor, who is Kenyan, came to Ireland in October to undertake training. “Greeting from Kenya! I am almost two months working with the Franciscan Missionaries of St. Joseph (FMSJ) in Kenya as an in-country development worker. Unlike many of VC volunteers/workers, I am Kenyan and therefore would have prided myself for having a good grasp of the places the sisters work, the challenges they encounter and the hopes they carry for the people they serve. Little did I know that my understanding was not as adequate and comprehensive! It has, therefore, been a steep learning curve for me as I undertake to know the FMSJ in order to establish a new coordination office – the development office – for the sisters. So far, my general tasks revolve around setting processes and procedure for a functional development office. In order to be more practical in doing this, I thought it wise to have some immersion visits to each of the projects. 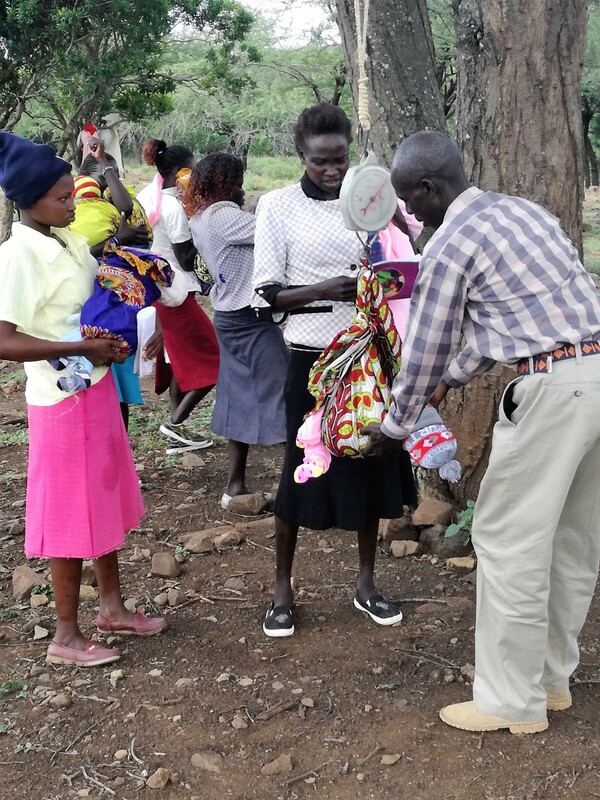 As fate would have it, my first experience was with the Marigat mobile clinic in the semi-arid areas of one of our most underdeveloped counties, Baringo County. I had never visited this part of the country before. My short immersion with the mobile clinic started off at around half past nine o’clock driving through the scorching sun, on very rough roads that meandered to “nowhere” that I could imagine. Often, the roads seemed to hit a dead end. But the driver, who’s knowledge of the terrain was admirable, would divert to another feeder road, quite often rougher than the previous one disappearing beneath the thorny bushes of the prosopis scrubs. I kept on inquiring whether there were families living in this expansive area despite assurances from the mobile outreach team. We had lunch – of course it had to be nyama choma and ugali – halfway through the journey at noon at a small shopping centre that had not more than three small shops and a small makeshift hotel behind a butchery. I kept on wondering what time we would be at the outreach site, who we would find there and how the whole operation would go. Then we hit the road again for a little more than an hour pulling over under a huge mugumo tree where a group of women and children were seated; there were no men among them. The driver pulled over right beside the crowd and the setting up of the makeshift clinic began. Plastic tables and chairs were offloaded and arranged under the tree, one for registration and the other small one for an improvised laboratory testing. One of the workers tied a weighing machine on one of the branches of the tree to weigh the children; a wooden stadiometer was places on the ground ready to measure children’s heights. And voila, the work started. Two queues emerged – one of mothers with babies, the other of expectant women. The expectant women lined behind the land cruiser boarding on the cruiser one by one for antenatal checkup. The Landcruiser was their antenatal clinic! The babies and the young children were attended to – some getting jabs and others oral vaccines. It was a beehive of activities for about four hours. At the end, about forty people, including twenty-two children had been attended to. Two newly born babies were brought at the tail end of our work for their first BCG vaccines; they were two days old, born at home. “We are lucky today there weren’t many people to attend to,” the lab technician commented as the queue disappeared. He had been so lively and bubbly to the women and children that he made their faces light up. The team’s conspicuous motivation and love for their work was something to be envied. There was a lady selling some food under a nearby tree. There the ladies and children sat to grab something and chat with each other after being attended to just before they started off the journey back to there homes hidden behind the hills. We packed and left, thanking God for the health of the women and the children. It was already getting dark by the time we arrived home, tired but with a sense of satisfaction. It was a day well spent. There are nine such clinics to different places around the vast county every month. The experiences on each of these outreaches are similar, I was told, save for differences in distance. This one was about 40km away from the stationary clinic. The area is volatile due to cattle rustling and violence between neighbouring communities. Many people have been killed and there has never been an adequate response from the government. Communities migrate to safer areas each time an attack occurs. Often these safe areas are interior, undeveloped and lack essential amenities. The mobile clinic outreaches are, therefore, their only hope in terms of health care. I went back to Nairobi to prepare for my next trip to the coastal strip of the country. So far, I have done six project visits, spoken to project coordinators and workers about their work and where they would like to receive assistance from me, evaluated some projects, prepared guiding documents for the office among other things. I now understand the projects I have visited well enough to be able to assist them work better and be impactful.